Situated on scenic St. Joseph Island we are one of approximately 30 island syrup producers. St. Joseph Islands pure maple syrup is well known throughout North America’s maple industry for its flavour and modern production techniques. Our C.F.I.A inspected operation is in its 49th year of production with a 6000 tap operation. 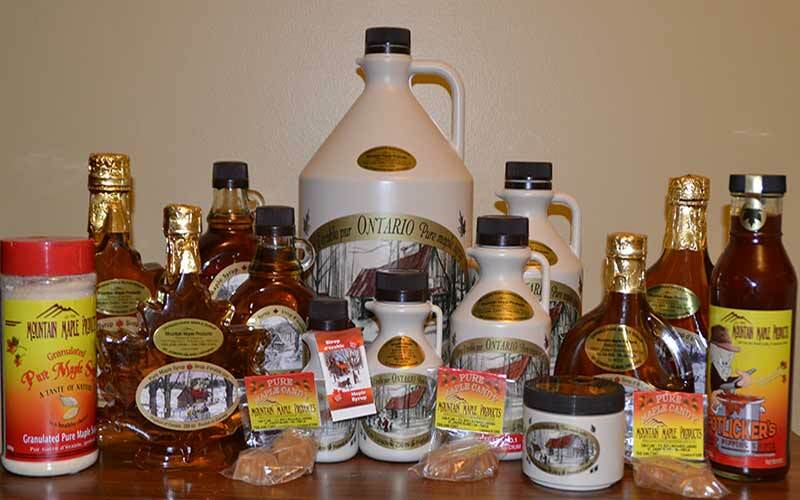 Maple syrup, butter, candy, sugar and BBQ sauce can be found in 22 outlets, farmers markets, country fair and by farm gate from Toronto to Thunder Bay. Our maple products have been sold as gifts to 26 different countries around the world.